Coconut Coir versus Peat Moss. Peat Moss has been a staple in gardening and soil amendments for a long time. But Peat Moss is not considered renewable. 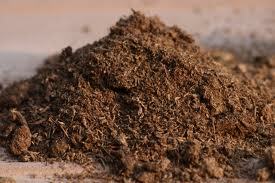 The process of forming peat moss takes place over centuries. 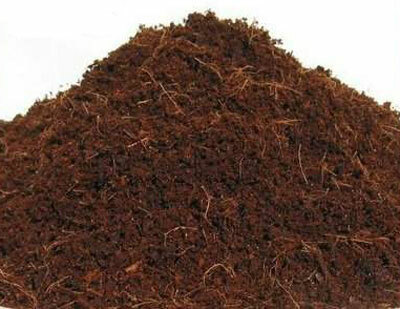 Coconut Coir on the other hand, is the waste bi-product of coconut husks that are processed for the extraction of the long fibers from the husk. Coir is a good, organic way to improve your garden soil and is considered renewable and sustainable. Peat Moss is an acidic substance, which makes it difficult for some plants to grow. The acidic nature of peat moss makes it probable that fungi and other plant-based disease will grow and spread. Coir provides the same benefits of peat moss without the environmental damages. Once Peat Moss dries out, it is extremely hard to re-hydrate. 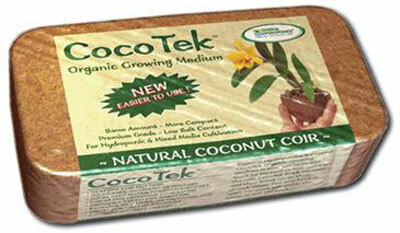 Coir retains moisture better and is much easier to re-hydrate. The fibrous nature of the Coir absorbs water and helps the soil remain moist and fertile. The aerating and hydration properties of Coir work with most soils. If you are working with sandy soil, Coir will help retain nutrients and keep moisture close to the roots. For soil that tends to be more clay-like, Coir works to provide aeration in the hard-packed soil so that nutrients and moisture can be well dispersed. If Coir dries out, it remains hydrophilic (receptive to water). It is less dusty than peat, seems to hold more air, smells good, and doesn’t break down as fast as peat. Finally, Coir is a good use of a “waste” product. Coir provides gardeners with a consistent supply of moisture and air for their soil. When coco coir bricks are included as a soil amendment, your plants require less water, less fertilizers, develop more elaborate and stronger root systems, and are more resistant to disease, pathogens and weeds. One of the key reasons for putting Coir into your beds is water scarcity. If you live in California, or in any other area that is currently facing a possible drought, ways to garden using less water are critical for the upcoming spring and summer growing seasons. How to use Coir. You need to wet the coir first before using it. Put a brick of coir into a 5 gal bucket, and add water. Coir will expand five to seven times in volume. For a brick, which yields about 1/3 cubic foot of coir dust, a drywall bucket will do. For a bale (about 2 1/2 cubic feet), use a wheel barrow with 6 gallons of water in it, and break it apart. Work coir into the top 6″ of soil in your garden bed, or use in containers with a planting mix of equal parts pearlite/vermiculite, coir and compost. Where to Find Coir. You can find it on-line, and you can find it in pet stores, such as Petco or PetSmart, where its sold for use in the lizard habitats. I knew we weren’t supposed to use peat moss, but I didn’t know exactly why. Thanks for explaining. With this drought we’re experiencing in Oregon, we might be forced to be more frugal with the water. I’m originally from Portland, Oregon and I sometimes forget that there is a lot of Oregon that doesn’t get the rains like the Willamette Valley. But even without a drought, it’s good to think of ways to retain water for our gardens while using less. In the coming years, we may have to deal with higher water salinity. Thank you. I look forward to you returning.